Fancy a free £30? Well pop over and see Victor then. Yes just open an account with BetVictor, bet £10 and they’ll drop you a free bet of £30. Lovely. And of course all the options to make a risk free profit from this are available in our fantastic Oddsmatcher Pro software or just drop us a line at info@bet72.com and we will work some out for you no problem. Plus you then be in line for a whole host of offers and promotions from the man himself (as well as benefiting from some of the very best prices in the industry). Not much else to add really except here is the link to all the details….. Fancy a free £25 in running sports bet this weekend on any event you like? Silly question really. So you can effectively have one bet and get one free on anything you like or if you want to make this risk free all you need to do is find a close match up in odds between your golf selection at BETVICTOR and your preferred betting exchange to secure the free bet for the lowest possible loss and then you can lock in some risk free profit using your weekend freebie, brilliant! This offer is open to everyone, new and existing customers alike. So before you do this you will be needing a BETVICTOR account too, so if you don’t have one you can grab a free £25 sign up bet too. So just click below to get started. Unfortunatley we cannot get BetVictor into Oddsmatcher at this time but with stacks of markets available it should be really easy to pick up some easy qualifying and cashout options. *The maximum free bet is £/€25 per person or household. Free bets will be in the form of promotional cash. Applies to win & each-way bets. Singles only. Multiple bets will not count. Applies to pre-event bets placed on the ‘Tournament Outright Winner’ market only. Bets placed on the ‘Live’ section of the website or in-running (IR) will NOT count. Real money bets only. Promo cash bets excluded. All accounts will be credited with their free bet at midnight Friday 11th May. Free bets must be used to place an ‘In-Running’ bet on the ‘Live’ section of the website and will expire after Sunday 13th May. Our decision in all matters relating to this offer is final. Just scroll down for today’s instant risk free profit bet of the day! You must have spotted their banners around the touchlines and on the interview boards of various Premiership grounds this season as they have sponsorship deals with the likes of Chelsea, Liverpool, Aston Villa, Everton, Wigan and Bolton. Naturally we have them covered on Oddsmatcher so can cash out all these offers for maximum risk free profit. So to make a start click here…. Here are the details of their unique sign up offer which you can take as a risk free punt or we can lock in some risk free profit very nicely on this one. We are offering all new customers a Free £25 Bet. To get our free bet, all you need to do is register and account, make a deposit and place a bet. If your first bet loses, we will refund your stake up to £25. No turnover requirements, no hassle, just a risk free bet. Get your Free £25 Bet now! Like we say you could see this as a totally risk free punt on something you fancy or we have a way you can lock in some guaranteed profit whatever the outcome. Easy! To get the perfect match up then you just treat the sign up offer in exactly the same way as cashing out a stake not returned free bet in order to calculate the optimum LAY stake. If it is a draw then you will win £62.50 at 188BET and lose £46.45vat Betfair for an overall profit of £16.05. You won’t qualify for a refund but that doesn’t matter as you have locked in a guaranteed profit anyway. If not then you will lose your £25 stake at 188BET but win £16.05 (after 5% commission) at Betfair, leaving you £8.95 down but your initial £25 will be refunded by 188BET again giving an overall profit of £16.05, brilliant! Then you in the running for plenty more existing user offers and bonuses. And if you miss the bet above and would like another working out please drop us a line at info@bet72.com and we would be happy to help. Here is the link you need to use to sign up to get the free bet offer…..
Got an iPhone or Android phone or an iPad? Fancy an extra free £10 bet for the Cheltenham? Then you need the iPhone / Android app from The Racing Post today! Yes The Racing Post in conjunction with William Hill are offering all punters the chance to claim a free £10 or €10 bet for the Festival just by betting through the Racing Post’s free app on any of Saturdays racing. The offer is open to new AND existing William Hill customers who bet through the iPhone or Android app on the Horse on Saturday. The Cheltenham Festival is only a few days away – so we’re running a special bet offer for Racing Post app users this Saturday. If you bet £10 on any race today you will get a £10 free bet for any race at Cheltenham – simple as that! Their are six race meetings to get stuck into today but the highlight is the Paddy Power Imperial Cup from Sandown (3.15). So if you have any fancies for today or for the Festival remember to have a £10 bet today and add to your coffers for the week ahead. You can download the Racing post app here for free or visit m.racingpost.com on any smartphone. If not, then you can bag a free £25 sign up bet too. Of course we have it all covered in Oddsmatcher so finding a match to lock in more risk free profits could not be easier. Then you too can join in all the risk free gaming fun! So you collect a free £25 on the footy and then another free £10 ready for Cheltenham too, brilliant! And standby for risk free offer after risk free offer Billy Hill, look what you have been missing over the last few weeks…. Here is the link to get signed up with and get cracking….. Qualifying bets must be placed through the Racing Post app. Qualifying bet must be a minimum £10 win single or a £10 win stake as part of an each way bet. Free bet to be credited by midday Monday 12th March. Free bet valid for every race during the Cheltenham festival. Free bet stakes not returned with any winnings. Available to customers in the UK and Ireland. Celebrate Kempton’s first Jumps meeting of the new season with free entry in this offer available to all William Hill customers. William Hill Jumps Sunday takes place on Sunday 16th October and you can get in for free by simply downloading the William Hill Mobile Sportsbook App to your smartphone or iPhone and showing it at the entrance gate. And don’t forget you can get a free £25 sign up bet if you are a new customer too. Of course we have it all the latest odds covered in our free Oddsmatcher software so finding a match to lock in more risk free profits could not be easier. Got an iPhone or Android phone? Then you need the iPhone / Android app from The Racing Post today and you can Get your money back if Blue Bunting wins The Oaks, look straight from the horse’s mouth. DO you want to take on Blue Bunting in the Investec Oaks? If so, the Racing Post app is your best bet. We’ll give you your money back as a cash refund if you bet through our mobile app with William Hill on the Oaks on Friday and Blue Bunting wins. This great offer applies to both new AND existing app users and is good for a stake of up to £50 or €50. See below for full terms and conditions. The offer is only valid for anyone placing a bet via the Racing Post iPhone or Android app and is for all new AND existing William Hill customers. And of course you can lock in some guaranteed risk free profit using the spreadsheet above. 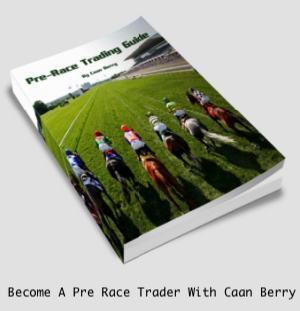 You need to BACK and LAY any horse in the race other than Blue Bunting and then LAY Blue Bunting to lock in the risk free profit. So grab the sheet, enter the figures into the boxes based on the current odds and play around with the stakes until you are happy with the profit and the liabilities. Of course you will be needing a William Hill account to do this and if you don’t have one then you can grab a free £25 sign up bonus too. Just deposit and wager £25 at evens or above and get an instant £25 stake not returned free bet. Needless to say we have this all covereed by Oddsmatcher, so you can find all the risk free bets you need at the click of a mouse. So you collect a free £25 on the footy and then have a go at this one too, brilliant! 12BET are one of a growing band of bookmakers who may be familiar to you but you have never played at. They are well known as the sponsors of Sevilla over in Spain and have now broken onto the Premiership scene in partnering with Newcastle United, Birmingham and West Brom. Still enough of the history lesson, how about an offer Darren, I hear you cry. Certainly, how about a free £25 sign up bonus then. Yes just sign up and deposit £25, then email to promo@12csd.com with the Subject 1210025 and your 12Bet username in the body and you are away. And of course a new bookmaker deserves the ODDSMATCHER treatment and we now have 12BET added so finding selections for this is a breeze. What more could one wish for! # This promotions starts on 00:00:00 (GMT+8) 01 February 2011 until 23:59:59 (GMT+8) 28 February 2011. # Eligible for all NEW signup members, 18 years & over, who are residents in the countries of the European Union (EU) except the country or countries as stated below and registering using the currencies of GBP, EUR, USD and CHF. 1. 12BET reserves the absolute right to cancel this offer at its own discretion. 2. Your initial deposit plus the bonus is subjected to TWELVE(12) times rollover in 12BET Sportsbook wager prior to any withdrawal being made. Bets must be settled before a withdrawal is processed. Bets made below 2.0, void and cancelled bets will not be counted towards the 12 times rollover requirement. 3. If the 12 times rollover requirement is not met within 90 days after the first deposit, the £25 Bonus will be forfeited. 4. The following country or countries are excluded from the FREE BET promo due to bonus abuse: Portugal. 5. For this promotion, withdrawal may be delayed for up to 24 hours from normal due to verification process. 6. 12BET reserves the right to ask any customer to provide sufficient documentation such as valid ID, Latest Deposit Screenshot and Utility bill for us to be satisfied in our absolute discretion as to the customer’s identity prior to us crediting any bonus to his account. 7. Members participating in this promotion will not be eligible to claim another concurrent New Sign up or other related BONUS promotion. 8. One member is allowed to claim one bonus only.